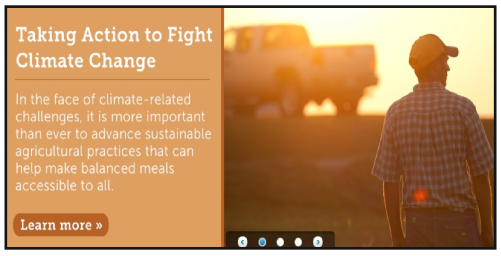 When thinking about food security and climate change, we have to realise that the impacts caused by our food con­ sumption are inconceivable. But now we can breathe again: many people and pro­ fessionals within the seeds industry have well thought plans and, above all, strategies like sustainable agriculture and green solutions. On consumers side green products and natural ingredients for an ongoing consumption are increa­sing. Take a look at the picture beneath, promising a solution to feed the world in the light of the rising sun. I am sure, you can guess, who the creator of that fabu­lous idea is. Exploring the internet presence of Monsanto, www.monsanto.com, not ha­ving any idea of its media presence and never heard of the discussions about headwords like glyphosate or the fact that many small farmers are pending on the big monopoly on the seed market, I would trust in Monsanto being a group of people saving humans and caring for our planet. 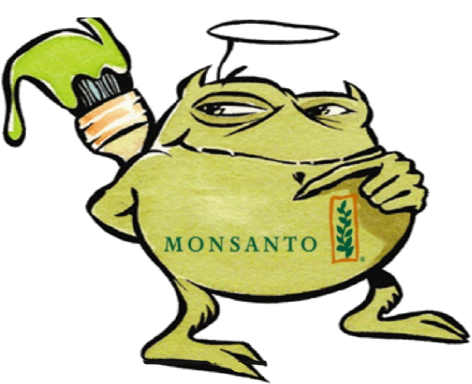 Due to different greenwashing in­struments like model projects, public staged partnerships with environmental organisations and the adoption of a cer­tain language 1 , help companies like Monsanto to build up their image. Un­derlined by a web design that is kept in earth tones and a plain logo (see in the title) that shows green leaves and natural colours, implementing healthy growth, the language use is obviously planned to constitute an image of a company that is in close touch with nature, a company that is painted in green. Greenwashing and language contains two strategies. On the one hand, terms or sentences exaggerate facts – or are plain and simple lies. On the other hand, it is possible to use words that go with a cer­tain connotation and do not mean any­thing or misdirect the reader. The Monsanto website is a goldmine for both. continue reading the full article in the downloadable pdf-file.